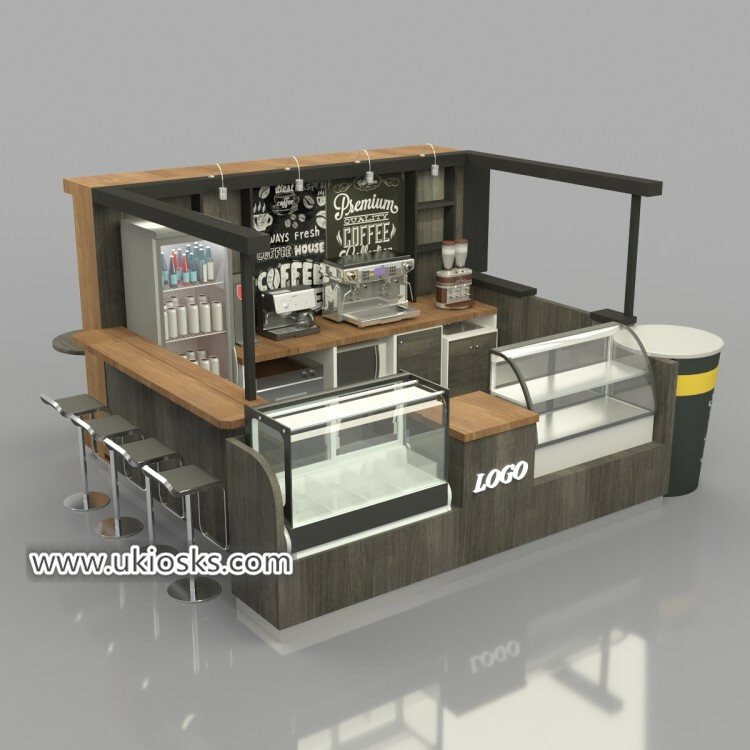 1.More introduce about this coffee kiosk . I believe that when you first see this cabinet, you will be deeply attracted to it. 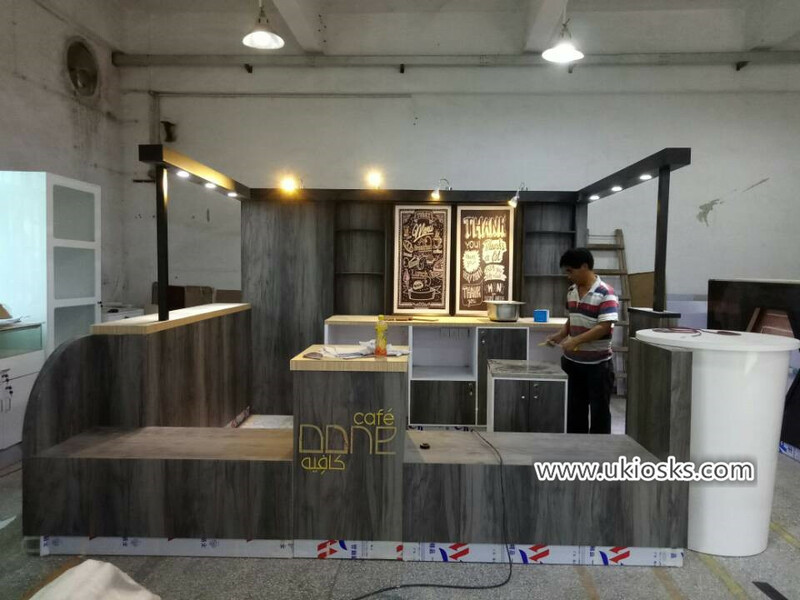 whole shop is very simple and graceful ，Use sedate grey as the main tone, with a little brown wood grain, very high-end atmosphere . 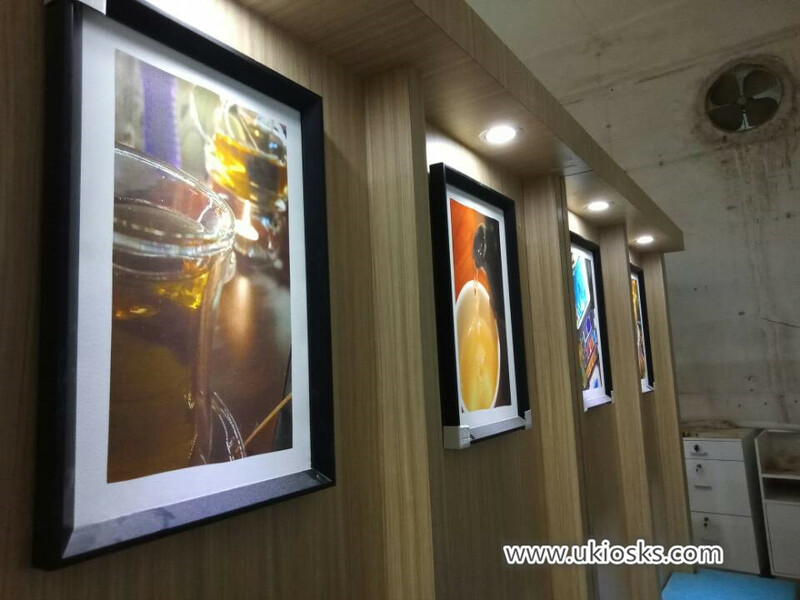 basic material is fire retardant plywood, surface is laminate . stainless steel toe kick on the kiosk bottom . The front part of this kiosk mainly for order and display . 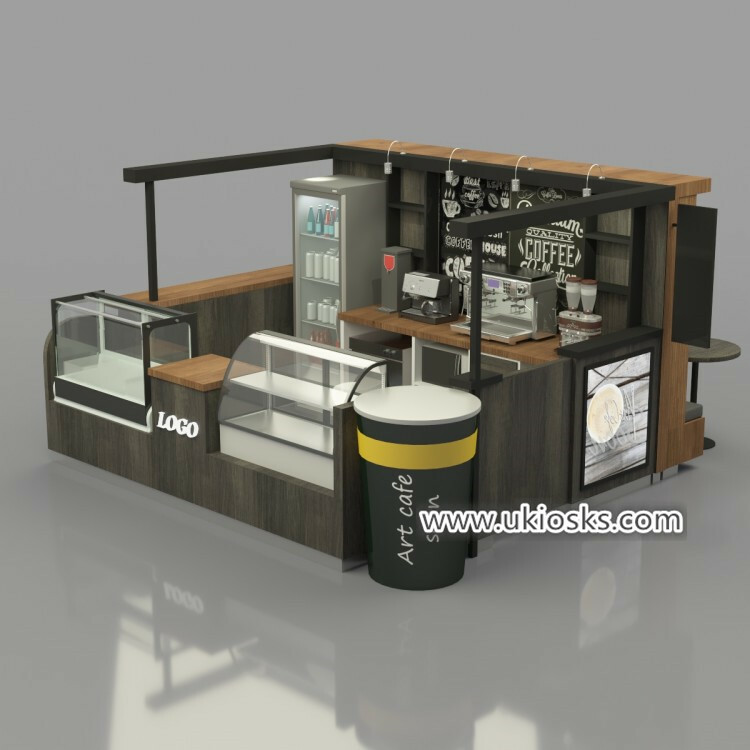 a small cashier counter , two display fridge for snack and bakery . 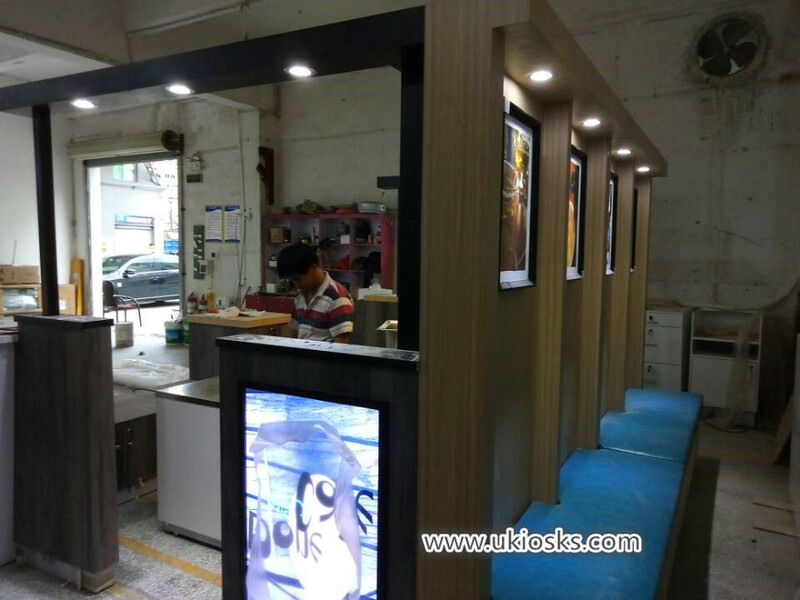 you will notice the kiosk right sides with a cup shape , it’s very eye-catching . the back sides with a wooden counter , can put your machine on it , coffee machine offee grinder . a Vertical beverage display fridge . Item : coffee kiosk . Color : grey , brown wood grain . Material : fire retardant plywood,laminate . Design : 3d max or CAD drawings . 3. 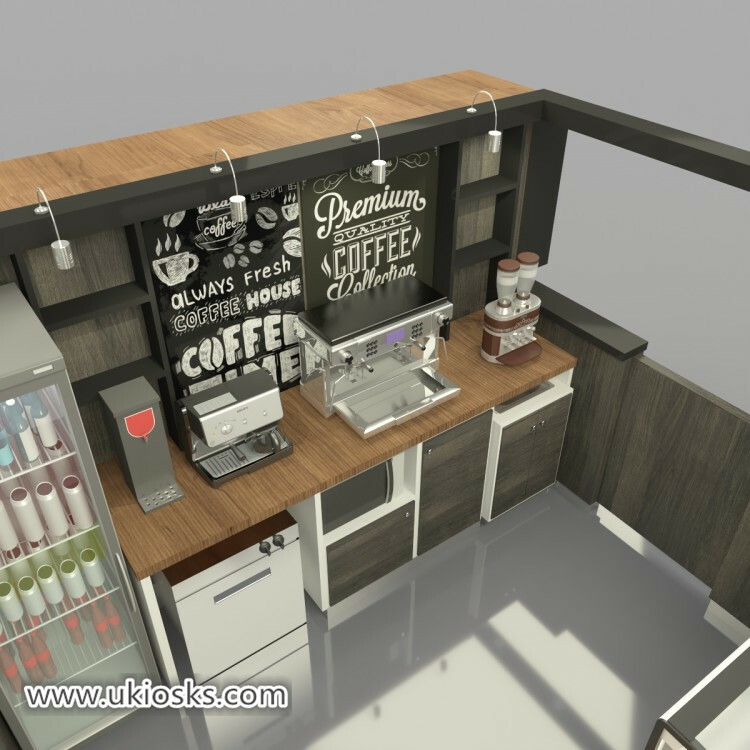 How can i make a coffee kiosk like this one ? 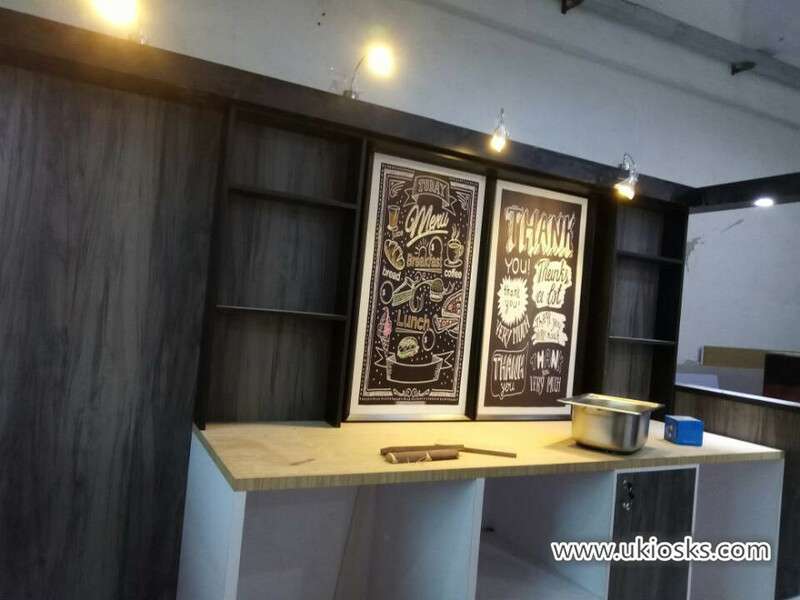 Thanks for your time and reading , if you need more further info about this coffee kiosk , pls feel free to contact us , thank you !